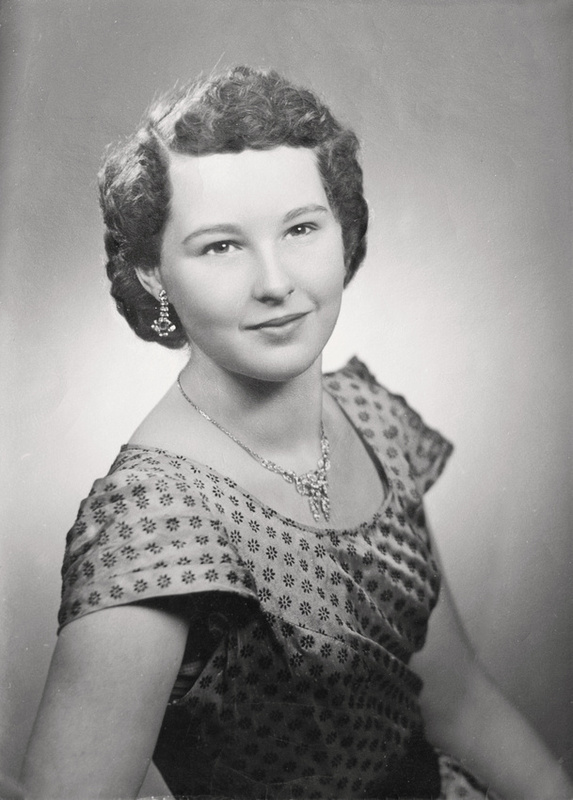 Dorothy Elizabeth McDonald, daughter of Loraine Anthony McDonald & Frances Philomena Selker, formal engagement portrait taken in 1952. Dorothy Elizabeth McDonald is the daughter of Loraine Anthony McDonald and Frances Philomena Selker. A copy of this photograph was included in the Frances Philomena Selker Collection. Photographed by Vagnarelli Photo. Editing and digital restoration by Michelle M. Murosky. Dorothy Elizabeth McDonald is my great aunt. She is the sister of Mary Eugenia McDonald my paternal grandmother.